HEADS UP!! If you didn't get a chance to check out yesterday's post....you might want to. There's a $500 Home Depot gift card up for grabs. Plus a ton of good ideas on how to perk up your laundry room. Hurry over and enter!! 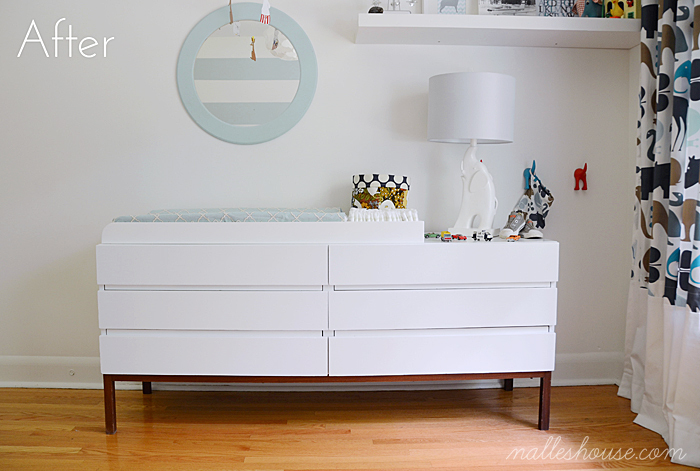 I'm loving this mid-century modern dresser makeover by Nalle's House. And how adorable is that room? Seriously. 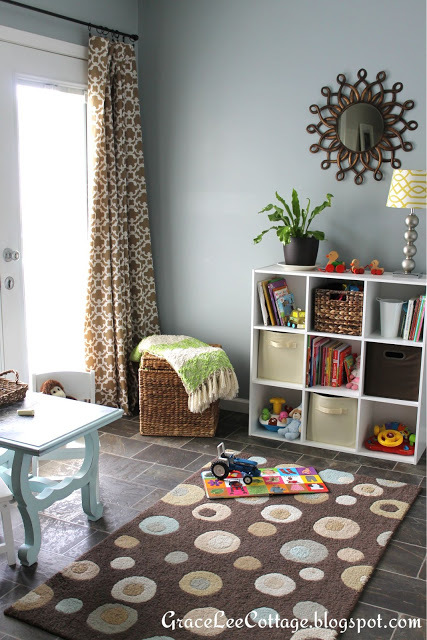 Next, Grace Lee Cottage needed a play room...so she turned her under-used dining room into an adorable space for her kids. 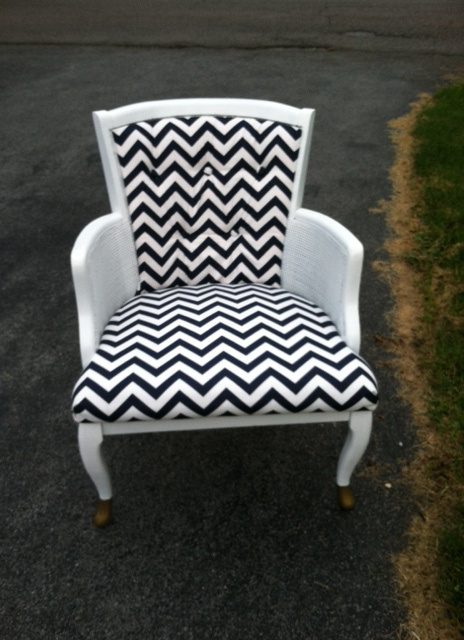 I just love me a good chair makeover...and this one from A Little Bit of Zazz certainly fits the bill. I'm loving it all...the paint, the chevron. Beautiful. Thanks so much for featuring my boys' dresser and for the great party! Have a great weekend! Thanks for hosting, Wendy!! Some talented gals behind those features! Have a great Friday! Thanks for hosting! Hope you enjoy these last few weeks of summer! Thanks for the party, Wendy!!! Have a great weekend! Really love that mid century dresser. I think I need to start hunting for one for my home. Thanks so much for hosting, Wendy! Hope you're enjoying what's left of summer. It's sure flown by, hasn't it? Have a wonderful weekend! Great features! Have a wonderful weekend and thank you for hosting. I am in love with the chair!! Great job and great party! Thanks for hosting another great party! There are always so many great links to check out! Have a super weekend! thanks for hosting! have an awesome weekend. I'll be spending my weekend catching up on all this blog goodness! Hi Wendy! It has been a long time since I have linked up a project to Frugal Friday. Fun to be sharing my Clever Tip today. Thanks for hosting!